Case studies have been written on many farmers putting EverGraze principles into practice. The pages below provide stories from farmers in the south-west region of Victoria describing what changes they have made to their farming enterprises and the impact on their business and lifestyle. 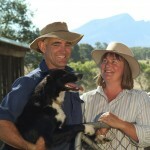 Ian and Susan Maconachie run a 471 hectare mixed farming property near Ararat in Victoria. 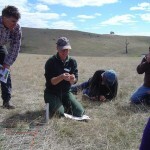 They host an EverGraze Supporting Site investigating grazing management techniques for native grasses to maintain a high level of native perennial vegetation for increased productivity and ecological balance. 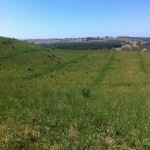 For Mark and Ange McKew in south west Victoria, a combination of strategic and rotational grazing is proving a successful tactic for boosting native pasture densities and maintaining groundcover in steep hill country. 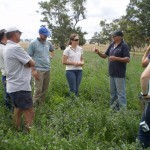 Rod and Bernadette Vearing participated as an EverGraze Supporting Site to test the value of lucerne and phalaris pastures run as a system for their prime lamb enterprise. These three case studies tell the story of their journey with the last including a complete economic analysis, modelling of the farm system and experiences of other local farmers. 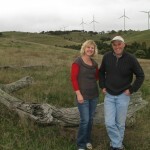 Tim and Richard Currie, manage “Lyndoch Park” north of Casterton in South West Victoria. They run a self replacing Multi Meat Flock where lamb survival and marking percentages are important profit drivers. They successfully established grass hedgerows at farm scale to protect lambing ewes. A hefty supplementary feed bill and below par lamb and weaner survival and performance prompted Mokanger manager, Shane Arnold, to make some pasture changes. He needed to fill the summer feed gap with a high protein and high energy diet for weaners, and the combination of lucerne, chicory and plantain, seemed to fit the bill. 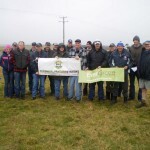 Perennial pastures have allowed Peter Hayes, Hamilton Victoria, to match feed production with animal requirements, boosting reproductive rates and reducing supplementary feeding. Ben is the third generation to manage the Millbanks property at Elmhurst. Farm is divided into four production zones according to slope and soil type. Each zone is managed to minimise risk of soil erosion and optimise productivity.